A GREAT SUCCESS FOR THE VERNISSAGE OF THE EXHIBITION SPONSORED BY THE JEFFERSON UNIVERSITY, LILT, THE ITALIAN CONSULATE AND MANY OTHER PARTNERS SUPPORTED BY PUNTO A CAPO AND QUI ARTE. AT THE OPENING IMPORTANT GUESTS AMONG WHOM THE DEAN OF JEFFERSON UNIVERSITY, MARK TYKOCINSKI, THE CONSUL PIER FORLANO, PROFESSOR IGNAZIO MARINO. A large public gathered on Thursday 7th March 2019 at the Jefferson Hospital in Philadelphia for the opening of the exhibition-event “Art vs Cancer & Violence”. On the other hand, from a clinical point of view, attention for the person, understanding and psychological support, research, prevention and new, more effective treatments are the answer medicine can give to these problems. The exhibition Art Versus Cancer & Violence was conceived and promoted by the communication agency Punto a capo in collaboration with Associazione Visioni and Qui arte, with the national patronage of LILT (Italian League for the Fight Against Tumors), the Italian General Consulate in Philadelphia, the Province of Savona, the Council of Savona, Telefono Donna, SIULP and many other partners. The exhibition was acclaimed and enjoyed the partnership of local and national authorities, both in Italy and in the States, and will be held in the prestigious Jefferson University, at the Kimmel Cancer Center. When the exhibition ends, the works will be sold, and half of the proceeds will go to the Jefferson Hospital. The speakers at the exhibition opening included Mark Tykocinski, Vice President of Academic Affairs at the Thomas Jefferson University, who commended the art show for well representing the Jefferson philosophy based on the union of medical and social sciences; he also emphasized the strong connection between Italy and the Jefferson with both student and doctor exchange programs who can earn a double qualification recognized in Italy as well as in the US. High praises also came from the Consul General of Italy in Philadelphia, Pier Forlano, for the works chosen in the show “Art vs cancer and violence” and for the quality of the display and the catalog, harbingers of the quintessentially Italian beauty and attention for detail. At the opening were also present some important representatives of the Italian Community such as prof. Ignazio Marino, a pioneer of liver transplants (former Mayor of Rome) who was also part of the organizing committee of the exhibition. This contemporary art exhibition displays 24 artists selected by QuiArte in a collective show that intends to open people’s eyes on what it means for a woman to endure abuse, humiliation, family violence or the frightening news of being ill with a serious disease, like cancer. “To open one’s eyes, in the sense of becoming aware of one’s situation is the first important moment in the process of recovery and rebirth of women that were victims of violence or that have endured the disease without being able to cure or face it – said Monica Brondi curator of the event and of the exhibition communication “this is the meaning of the message and the strong image of this exhibition, whose large wide open eye of a woman has become the main theme of the art show. We are proud that this project, born out of a communication campaign we created for the Associazione Telefono Donna now underway in the schools in the Savona area, has successfully come to the United States with the twofold intent of combining the awareness of key social issues and the promotion of Italian creativity. We have already been asked to replicate this show in New York, too. We would like to thank all those who have supported this project and have made it possible”. The artists featured in the exhibition are Luciana Bertorelli, Claudio Bellino, Bluer, Rossella Bisazza, Valeria Bucefari, Enrica Capone, Cecilia Cavicchini, Maria Paola Chiarlone, Rosalina Collu, Gabry Cominale, Nicoletta Conio, Laura Di Fonzo, Carmen Dragone, Rosanna La Spesa, Cristina Mantisi, Caterina Massa, Veronique Massenet, Giovanni Massolo, Ingrid Mijich, Fiorenza Orseoli, Monica Porro, Nenne Sanguineti Poggi, Gabriella Soldatini and Wildago. The exhibition can be visited until 16th March and is promoted by QuiArte, Punto a Capo communication and Visioni in collaboration with the Jefferson University Hospital in Philadelphia, with the patronage of the Italian Consulate, the Province of Savona, the Savona City Council, the town of Quiliano, LILT, Telefono Donna, Siulp, Metakoinè, Asl2, Lions International, BNI, Zonta, the America Italy Society in Philadelphia AISPHILA, Donne Inquiete, Parole Ostili; Media Partner MoreNews. 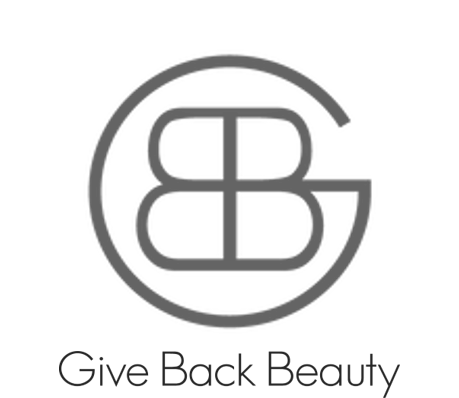 The main sponsor is Give Back Beauty an international organization that operates in the beauty industry to further and promote intercultural projects of a high social and cultural value around the world.